I fought for respect, then I fought for my country., Nnow I’ll fight for her. I made a choice, one I thought was for her own good. Her future was bigger than our love, or so I thought. Years have passed and when I find her working at a rundown diner and realize everything I’ved sacrificed was for nothing. That wasn’t part of the plan, and now I want answers. I fought for love, then I fought for my sanity., Nnow I’ll fight to keep him away. He made a choice to give up on us, on love, and it cost me everything. Now he’s back and looking for answers. Too bad., Tthe girl he left behind is dead and buried. He wants answers? Well, good luck trying to find them., I’ll never tell. He doesn’t deserve to know. Fight for something or die for nothing. 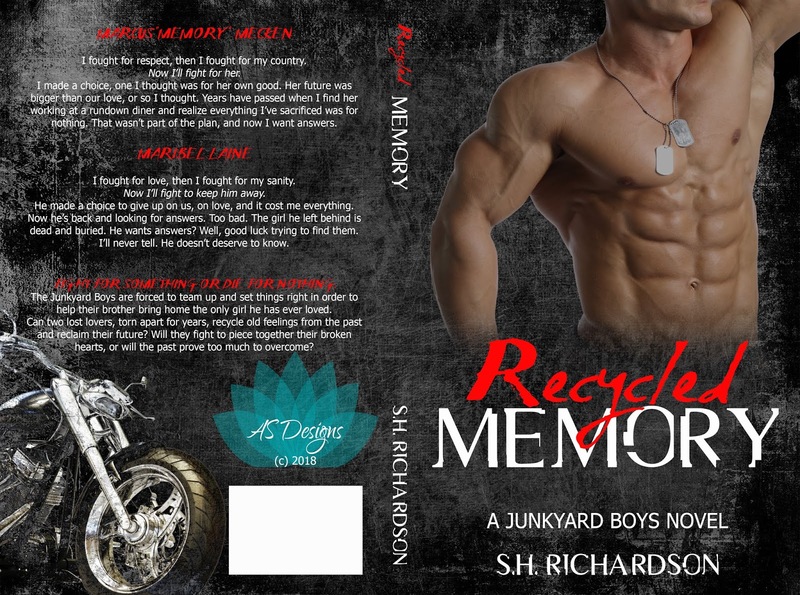 The Junkyard Boys are forced to team up and set things right in order to help their brother bring home the only girl he had has ever loved. 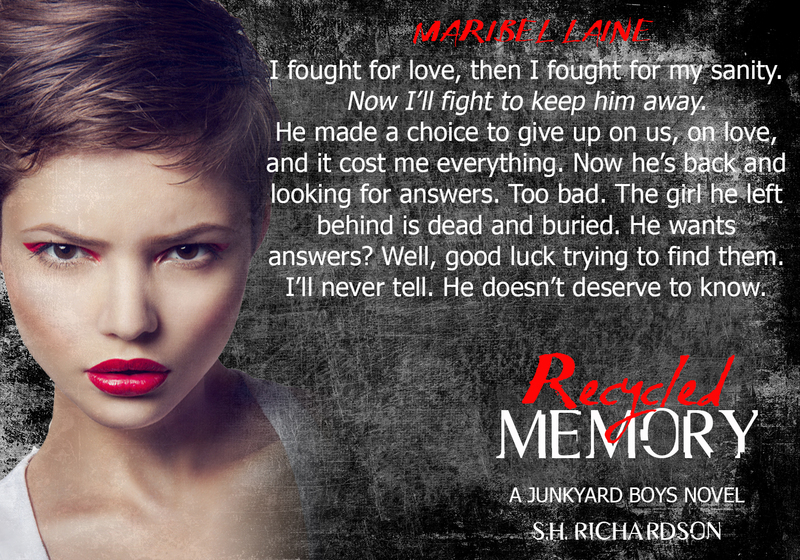 Can two lost lovers, torn apart for years, recycle old feelings from the past and reclaim their future? 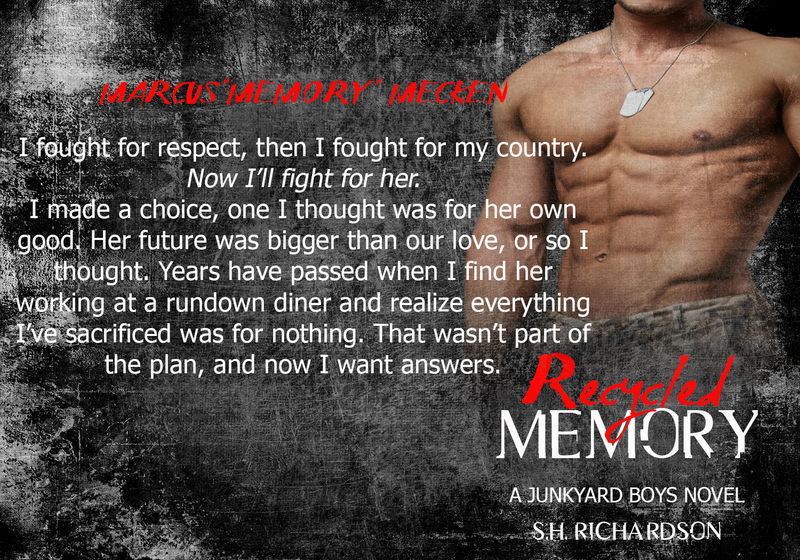 Will they fight to piece together their broken hearts, or will the past prove too much to overcome? SH Richardson lives in Virginia Beach with her husband of twenty years and two children, ages eighteen and twenty four. She graduated from SUNY Plattsburgh with a BS in Criminal Justice with a minor in Sociology. She has five dogs and loves taking long walks on the beach, reading romance novels, and travelling.